As far as family reunions go, this one was quite tame - no one was murdered and atleast half of the family still talks to each other. The other half is ofcourse plotting it's revenge. It all started with Rajanchayan sending out an innocent email inviting about 65 members of our extended family to the family home in Thumpamon, Kerala. Rajanchayan and his wife are citizens of the US, but have returned to India post retirement to enjoy the good simple life (that means getting local gossip at the beauty parlour, reading the obituary fastidiously and getting involved in local YWCA or church activities and politics...the politics at times far outweighing the activities). The family house in Thumpamon is the old house that my great grandparents lived in. It is huge with 15 rooms, a long verandah, large wooded areas around the house, a 200 year old well and a cow shed which now houses the lone cow Susie. The red oxide floors have now given way to printed ceramic tiles and there are four indoor bathrooms with plumbing (I hear several male cousins were disappointed to hear that no one bathed at the well anymore). But for the better part, the house still feels like part of history. Over the years it had absorbed the charcoal firewood smell which now lingers on despite firewood having not been used there for over fifteen years. The smell is part of the house's legacy. Day 1: Many of Rajanchayan's brothers came into town including my grandfather with my grandmother. I had already arrived that morning with my parents. As each car came up the driveway, there was a bit of a welcome ceremony. It was Taj meets Cozy Inn Motel. Omanakochama (Rajanchayan's wife) got a welcome drink out complete with an umbrella and a cherry for each guest. Rumour has it that troublesome visitors had their drink spiked with plenty of rum to put them in a better mood. I cannot attest to this for unfortunately I was not troublesome enough and I arrived before the fancy plans were in place. Each person also got a garland made of banana leaves. There was much hugging and kissing (the Kerala way of kissing is to inhale sharply as lip touches cheek) and many many comments on weight lost or gained and receeding hair lines. Malayalis are not in the least bit diplomatic and this was in full evidence here. As soon as Maryamma got out of the car, everyone immediately asked her why she was looking so old and frail. As for Thampichayan, he was left struggling to answer why his paunch had grown so much and was told that if his pants were any further down, the children would be asked to close their eyes. And so began the reunion. Relatives were pouring in from various parts of the world. The first of the 'incidences' as I call them, happened soon after noon on Day 1. Ryan arrived - he's a cousin from the U.K.. His mom Daisykochama was already there. Everyone ran out to welcome him. As he got out of his car, his face hinted that there was more to come. Sure enough, behind him popped out 2 long legs, green high heels and a very short skirt. Ryan, in all his wisdom, had chosen the family reunion to introduce his Puerto Rican dancer girlfriend of 3 months, to his mother. Daisykochoma was first shocked, then furious. She started muttering under her breath about bad children, ungratefulness, selfishness, embarassment and the such. At lunch she kept banging the plates as she laid them down. After 2 plates cracked, Omanakochama gently removed the rest of them from Daisykochama's hands...this was too minor an issue to break Wedgewood China over. By evening there were 28 relatives at the reunion. Patsy Aunty suggested a small prayer before the evening round of drinks started (let me just state at this point, Alcohol is a family member and present at all family gatherings). So everyone was summoned into the dining room where Patsy Aunty stood in the front with the Bible and started singing a hymn. One hymn led to another and very soon you could see the men look at each other restlessly. As the fifth hymn drew to an end, there was a collective sigh of relief. Patsy Aunty took the opportunity to start a prayer which had no end. Finally as she was praying for a whole bunch of people no one knew, Rajanchayan asked her if we could stop. In the few moments that it took her to decide what to reply, the 'congregation' had dispersed and within 3 seconds, everyone was knocking back vodka shots. Patsy Aunty was offended and went off to brood in a corner. Dinner was an awkward affair. Patsy Aunty bravely proposed a prayer before dinner (she's not one to give up easily) - it just propelled everyone to shovel spoonfulls into their mouths and chew loudly. Ryan's girlfriend was drunk and kept trying to kiss him. Ryan was not drunk enough to reciprocate. Everyone else tried to look away except for his mother Daisykochama who glared straight at him without blinking. It was eloquently summed up by my 6 year old niece Tia who said "sheesh" as she rolled her eyes as only six year olds can. Day 2: New visitors. The Americans had arrived - aunts, uncles, cousins. Between the twelve of them, they covered all vitally crucial questions - how many calories did the welcome drink have, was the water in it bottled, was malaria going around, why had'nt the airport improved, did the cable tv offer Fox channels. They took over the house with their protein bars, mineral water, Blackberrys, vitamin pills, exercise videos (I am not joking) , iPods, laptops and other exotic things. Sara was my mom's cousin from L.A. So Preeti, said Sara, how are you? Great. Absolutely fine, I replied breezily with a huge smile on my face. I was quickly reminded that Sara was treated for depression a few years ago. I wanted to be extra cautious not to trigger any strong emotions in her, such as jealousy or envy. I quickly lost the smile. Er, actually things are not perfect perfect, they're just ok fine, I amended. She looked at me as if I were the one a little off my rocker. She held my hand. Do you feel no one understands you? Do you need someone to talk to? she asked me in a low whisper. Oh my God, what have I gotten myself into, I thought. I was saved from answering by the bell, literally. We opened to door to find Sara's ex-husband standing there, big grin on his face, new wife on his arm. Rajanchayan and Omanakochama look at each other in horror. Someone had screwed up. Who the hell had invited the ex? Sara went white and speechless. Ex-husband leaned forward to give her a peck. Sara lifted her hand to push him away. New wife got in the way. A bloody nose and a bruised eye followed. Everyone watched this like a movie unfolding. Everyone except for Rajanchayan who was at his computer, frantically through the reunion invite mailing list. He was furious- who was responsible for this fiasco? A few seconds later, he returned with a guilty look on his face. Sara went in to lie down. The aunts fawned over her. The young boys fawned over the new wife - they tripped over each other to get her ice for her black eye. Rajanchayan got dirty looks for messing things up. A few minutes later, an aunt came running out of the bedroom. Sara had appearently swallowed five anti-depressant tablets. A doctor was summoned, though some idiot did say - Let Preeti have a look at her. I stared back - I am a dentist, I dont think checking her teeth at this time will help, I said pointedly. The doctor arrived 2 hours later. He checked Sara and pronounced her safe. He then checked the new wife's eye which was swollen like a lemon. There was much emphasis on how the doctor was not to let one know that he was checking the other. That evening everyone hit the bar even before Patsy Aunty could make her usual suggestion. So she headed to Sara's room instead to offer a special prayer. As soon as Sara saw her coming, she reached for her pills. Patsy Aunty had to be led away gently. The rejection of her prayer sessions was getting her down and I suspected she would soon need some of medication of her own. And thus the second day passed. Ryan avoided Daisykochama. Daisykochama avoided Ryan's girlfriend. Sara avoided ex husband. Everyone avoided Patsy Aunty. Rajanchayan was fired for sending the ex an invitation, even if it was by mistake. The reunion was really on a roll. Day 3: 11 am and I was sitting at the arack shop with Sue, a cousin sister from the UK. Sue is half Malayali and half English, a combination that makes her exquisite. We're were stopping traffic as people spied 2 girls in strappy tops and shorts sitting at an arack shop. Sue was especially arresting with her blonde curls and 5 ft 8in height. A crowd of men wearing lungis hiked up to their underwear had gathered outside the shop and were openly staring at us. A few more cousins joined us and pretty soon we had 15 people inside the 3x6 ft arack shop. For most of us, it was the cheapest (and quite frankly strangest tasting) 'liqour' we had drunk in a very very long time. As we returned home, we noticed two people huddled together in the cow shed. On closer inspection it was Ryan's girlfriend (presumably ex girlfriend now) and the neighbours son! That afternoon while most took a nap, Sara was heard telling Patsy Aunty about the benefits of anti depressants. Ryan meanwhile, was asking everyone below the age of 25 if they had a joint (atleast 5 people did...). The ex husband and the new wife left quietly, appearently she was quite miffed with the welcome she got! Sue was headed back to the arack shop - the owner had promised her eight free bottles if she spent some time there drawing attention to his little shop. The evening tea was finally the first normal, peaceful meal in 3 days. Everyone was heaving a collective sigh of relief when Yohan, cousin from Chennai, loudly announced that he was gay...and all hell broke loose again. Love, anger, deceipt, drugs, prayers, black eyes, excitement. Such was the nature of the family reunion. Rajanchayan has been banned from ever proposing one again, or else his wife Omanakochama has predicted that the next one will come complete with it's own divorce. Well written. Wit is well weaved into the narration. Having spent a majority of my summers in Kerala, I've come to understand the topography of Mallu society quite well. I could totally picture the different characters, right from the retired NRI types down to the arrack shop patrons! Good stuff. Takes me back to when I was like 14. Lol at the bit where you were trying not to excite your once-depressed cousin! Thank You. I mean that. I was having one of the worst days .. I happened to open Google reader and saw your post..
And boy, did it make me laugh or what.. almost hysterically. I just love the way you've put it.. I'm half mangalorean.. and let's just say, I know what it is like with enormous family gatherings, religious bible-toting aunties wanting to pray even before you stir the chai, rebelling cousins with skanky(not necessarily puerto-rican) girlfriends in tow, lots of dirty looks and fat jokes and plenty of alcohol thrown in for good measure..
Hey, what's your mallu connection? Well written, by the way. Idling in top gear - A brief update: The once depressed cousin in still depressed. However Patsy Aunty seems to be benefitted vastly from the happy pills! Mercury - Thanks :-) Glad you day is looking up. 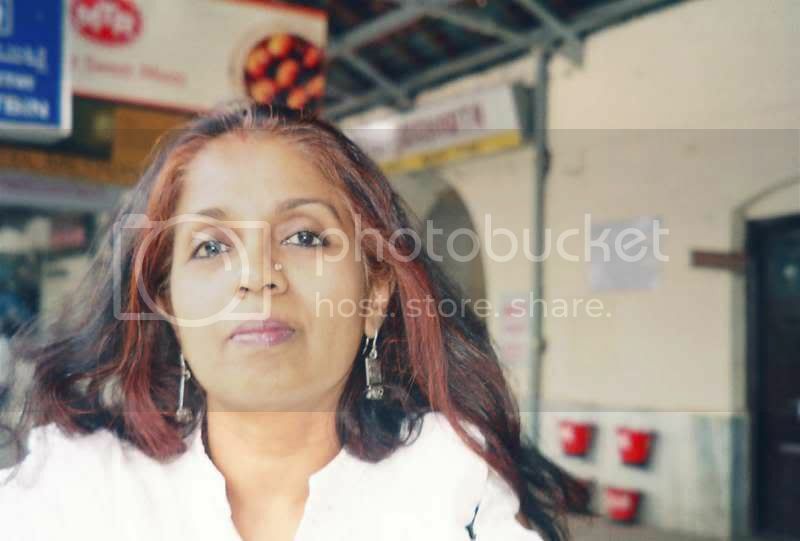 U no hoo - I am malayali and come from a large and non-traditional malayali family. Have never lived there though and all visits have been adventures of sorts. Seen u on Ryze earlier. Loved your humourous post .. made me smile many a time. Could so relate to the indiscretion displayed in welcoming people. I've always had to hear "you've become dark"...or "you've lost some hair". I mean, I've heard it so often, that its a miracle I'm not bald or 120 kgs already ! Anyway, had a fun time reading your post. Have I seen you on Caferati? I think so. Will definitely visit your blog. Absolutely well written Preeti - 'Alcohol is a family member' hehehee and lots of other to guffaw at...what an interesting family..and when did this happen? We never spoke about this!!! I can only imagine that the reunion would have provided so many Kodak moments..
Nandita - Our family reunions are always exciting - guess it's a result of having a family made up of individualistic and eccentric people. Anu - You are correct. "You look just like so and so" is another thing we hear often. In my family, since there are a lot of intercultural marriages, most people my generation look nothing like anyone else. Nice writing and I think you're hilarious, in a good way. hiralious! It was so vivid, i could almost see the episodes being enacted in front of my eyes!! The Big Fat Mallu Reunion rocked...give us more family stories!! Its even amazing how soooo many things could happen in a single reunion. Jinx - Guess everyone has families that are crazy in one way or another, just that some are more so than others! Vrinda - Thanks, and I say this with a big smile on my face. My family reunions are not even half as fun. They are usually like, "He skinny, feed him to death"
This has to be the most hilarious and entertaining and witty blog i have read in months. @Preeti the post is cool and i hope i had these kinds of interesting family reunions. Ratna - It's always a pleasure to read you. Che - Thanks a ton.